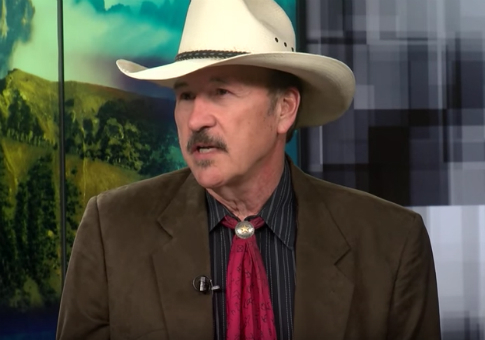 A Buzzfeed defense of Montana Democrat Rob Quist's numerous performances at an Idaho nudist resort is riddled with factual errors. The article, penned by senior culture writer Anne Helen Petersen, was in regards to a April Washington Free Beacon report that Quist performed numerous times at the Sun Meadow Nudist Resort in northern Idaho. Petersen's defense was that Quist performed at one of the state's hot springs, "where the standard dress code" is "clothing optional." "On April 26, the Washington Free Beacon—a publication out of Washington, DC—broke what, to its mind, was a major scandal in the special election for the Montana House seat vacated by Republican Ryan Zinke," Petersen wrote to kick off her piece. "The resort where Quist performed is indeed a nudist hot spring," Petersen explained. "But to suggest that Montanans would be scandalized by this choice of venue is to fundamentally misunderstand Montana, where the standard dress code at dozens of natural hot springs in the state is ‘clothing optional.' The first time I saw a naked adult was at a hot springs in Western Montana; many Montanans will tell you something similar." The only problem is that the Sun Meadow resort where Quist performed is not a hot spring, nor is it located anywhere near a hot spring. Petersen's mistake was due to the fact that she thought she had been to Sun Meadow. "Oh wow—I must have confused it with a different hot spring resort in Idaho where I went as a kid," Petersen wrote in an email after being notified that Sun Meadow was not a hot spring, but rather a large nudist resort that features a hot tub and two heated pools. Buzzfeed has removed the statement that Quist "indeed" performed at "a nudist hot spring" that appeared in the story when it was published on Sunday. The current version says, "The resort where Quist performed is indeed a nudist resort." No note was added to reflect the fact that Petersen mistakenly thought that she had been there. The Buzzfeed article also falsely refers to the Washington Free Beacon as "a publication out of Washington, D.C."
The Washington Free Beacon is in fact headquartered in Arlington, Virginia, in an office located many, many floors above THE POLITICO. This entry was posted in Politics and tagged Buzzfeed, Montana, Rob Quist. Bookmark the permalink.